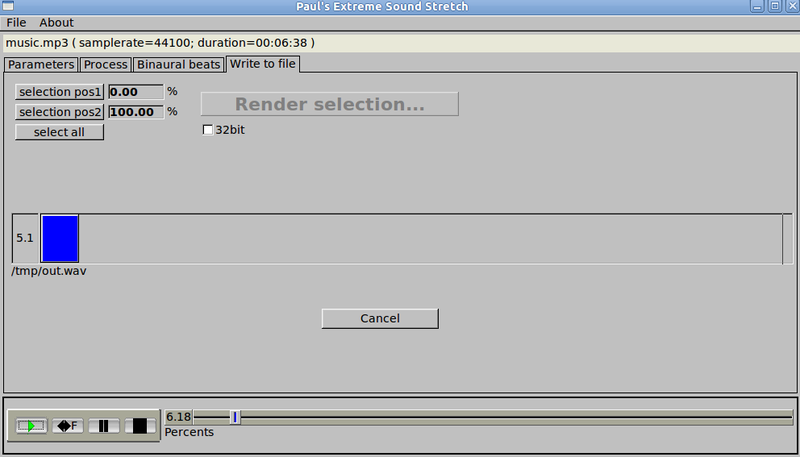 This is a program for stretching the audio. It is suitable only for extreme sound stretching of the audio (like 50x) and for applying special effects by "spectral smoothing" the sounds. It can transform any sound/music to a texture. The program is Open-Source and it's released under the version 2 of the General Public License. You can download the source code for Linux or the Windows binaries. It produces high quality extreme sound stretching. 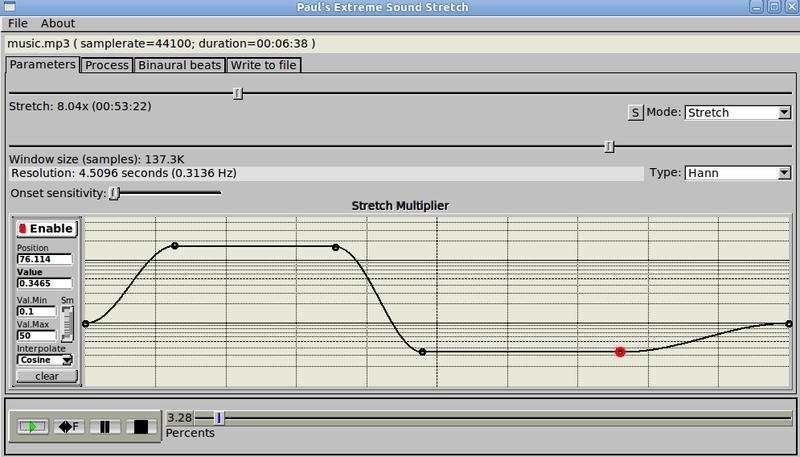 While most sound stretching software sounds bad when trying to stretch the sounds a lot, this one is optimized for extreme sound stretching. So, the stretch amount is unlimited. Before starting, you need to open a WAV, OGG VORBIS or MP3 file. You can open it by using the file menu, by launching the program with a command-line argument or (on linux systems) by drag a file from explorer and drop it on the filename bar(under the menu). The main window has two main controls: the stretch amount and the audio window. Tonal-Noise - filter out the noise or the tonal part of the sound. The first slider (noise---tonal) represents which part is preserved in the sound (leftmost means "preserve only noisest part", middle means "preserve everything" and rightmost means "preserve only very tonal part"). 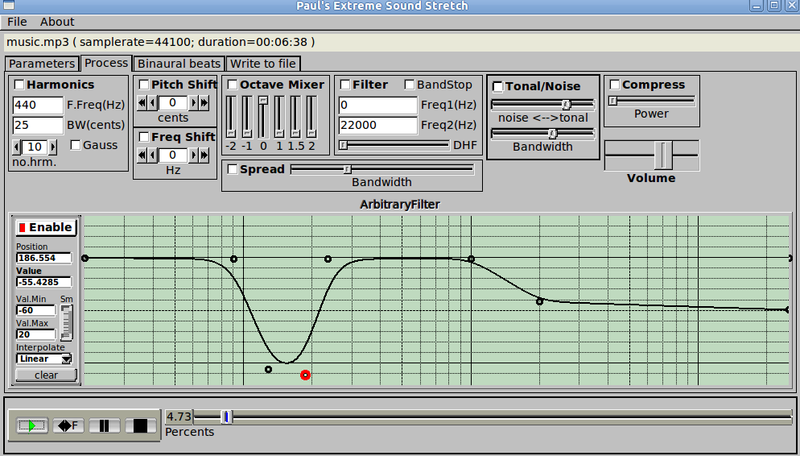 The "Bandwidth" slider sets how sound should be spread in frequency in order to be considered noise. 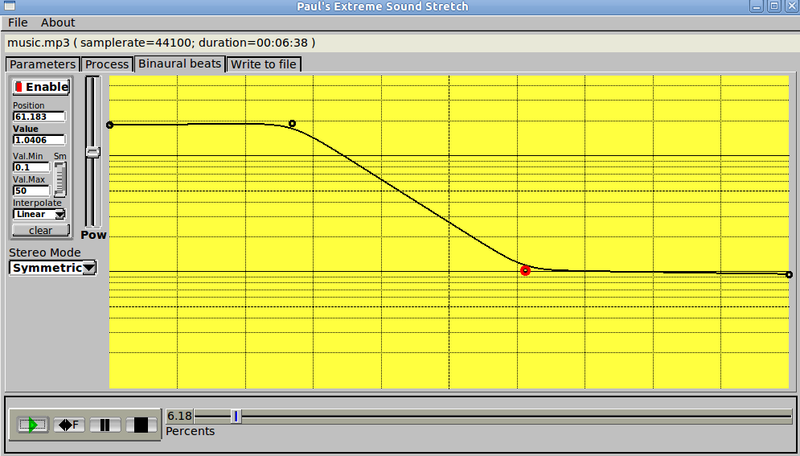 It sounds very good on stretching classical music(for finding small errors on choirs :) ). I like very much listening to Vangelis using this effect. I recomand you to try to listen "Movement 1" from "El Greco" album from the 9:00 minutes stretched by 30x, using a window of 10k samples. Also, you can try the "Monastery of La Rabida" soundtrack from the "Conquest of paradise" album. To create an interesting effect you can use small amount of stretches and big window sizes (like 5-10 seconds long). the shorten mode is a still buggy (not finished). 933 2,031 Nasca Octavian PAUL <img src="http://www.oldergeeks.com/downloads/gallery/thumbs/PaulsExtremeSoundStretch1_th.png"border="0"> Feb 19, 2018 - 12:48 2.2-1 671.7KB ZIP , out of 14 Votes.